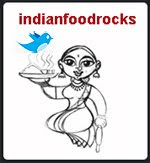 Indian Food Rocks: Do you Jowl? That is such an awesome photo blog, gave a totally new dimensions in taking photos. Thanks for sharing Manisha! Those are some really relaxed facial muscles! What a fun read that was, Manisha! Thanks for the links, they were great fun :). I love that photoblog, Padma! It's great to see talented photographers in action, at work and at play! Some of the wedding pictures they take are simply amazing. The mood, the perspective. And they are very young, too. Anita, I didn't know it was called jowling. The kids around here do it very frequently! You should hear the sound effects! I never thought of taking a picture using a flash to capture some of those crazy expressions, though. Musical, it was a great post to read, first thing on a Thursday morning of what has been an incredibly l-o-n-g week. So much fun! That is so bizarre... Some of those could be used for black-mail! I loved many of the photos on that blog- especially the one of that couple attached by a long ribbon. i tried jowling in front of the mirror. i just can't. well I just tried jowling in front of this monitor okie...nothing works out as that! !